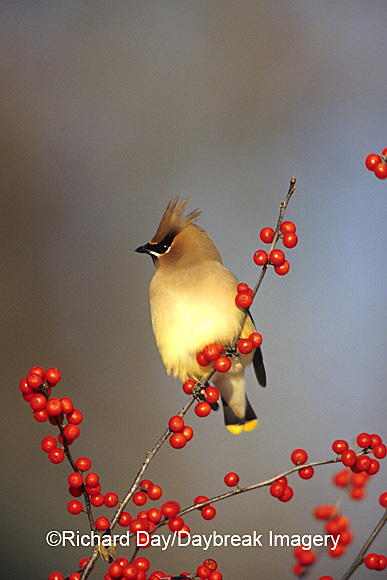 Cedar Waxwing “Spike” is our 3rd Bad Hair Day bird. Who do you think is having the BEST Bad Hair Day? Blue Jay, Cardinal, or Waxwing? This entry was posted on Thursday, January 13th, 2011 at 9:39 am	and is filed under Birds, Seasons. You can follow any responses to this entry through the RSS 2.0 feed. Both comments and pings are currently closed.